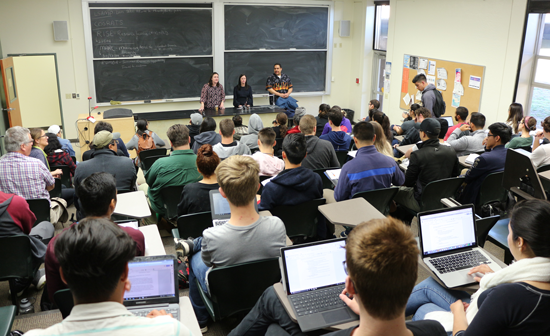 Science, Technology, Engineering and Mathematics (STEM) students packed PS 105 for morning and afternoon sessions promoting internship and lab research opportunities at San José State University (SJSU). 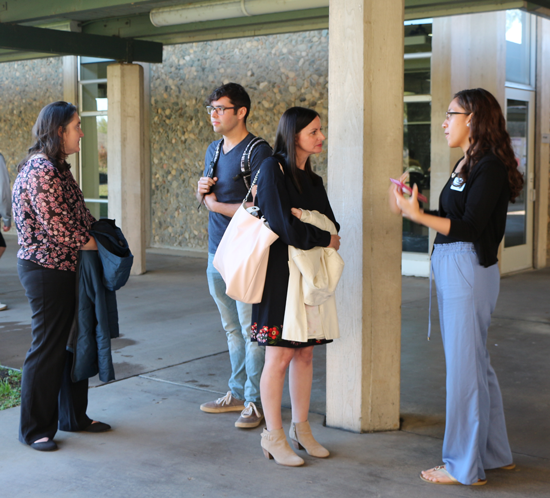 In the morning, College of Science Associate Dean Elaine Collins, along with professors Dr. Alberto Rascon, biochemistry, Dr. Betsy Skovran, microbiology and Dr. Katie Wilkinson, physiology, offered Gavilan students an inside peek into science careers. Students streamed through the STEM Center, grabbed lunch and asked questions. Researchers followed up with an extensive Q&A session. In the afternoon, students heard from Dr. Jeff Honda, biology, Dr. Melody Moh, computer science, Dr. Monika Kress, physics and Dr. Laura Miller-Conrad, biochemistry. faculty members Dr. Katie Wilkerson, Dr. Betsy Skovran and Dr. Alberto Rascon spoke about careers. 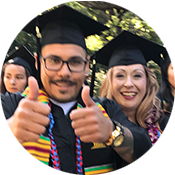 “We surveyed the STEM students,” said Marla Dresch, STEM Activity Director, “And they told us they wanted more sessions about career pathways.” STEM III is Gavilan College’s third, multi-year, US Dept. of Education grant that funds scholastic opportunities in science, technology, engineering and math. “We have research labs, and we will teach you the techniques,” said Rascon, “so don’t be afraid you don’t have the background.” Every speaker echoed his sentiment. Students who are excited about research will be met with professors eager to teach, provide background information and build skills. “As long as you’re willing to learn and you’re excited, I’ll teach you what you need to learn,” said Rascon. LSAMP – Louis Stokes Allliance for Minority Participation, one of four National Science Foundation (NSF) programs expanding underrepresented minority populations and productive output in STEM professions. RISE – Research Infrastructure for Science and Engineering, supporting underrepresented institutions offering doctoral degrees in STEM. MARC – Maximizing Access to Research Careers, offers support to undergraduate STEM students to improve their training and access in graduate and doctoral programs. RUMBA – Research for Undergraduates: Adventures in mathematical Biology and its Applications, an NSF grant supporting intensive, interelational mathematics and biology research. biology majors. "I liked her research on bacteria and recovering materials, plus modifying DNA,"
"Each of the department websites has an advising tab,which explains the degree plan," said Wilkerson. "There's also a research tab, techniques in how to get involved in research with some of our special programs." 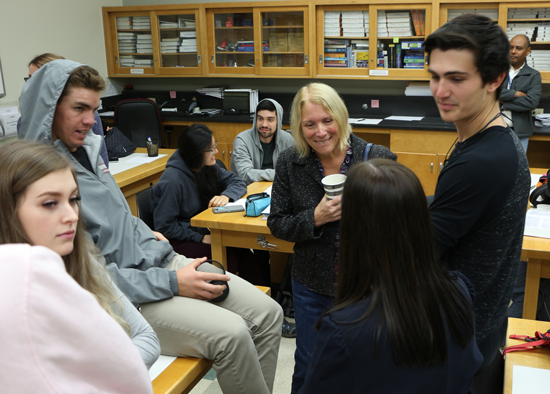 Both Wilkerson, in physiology, and Skovran, in microbiology, shared research within their classes that offer opportunities in collaboration, presenting and publishing research findings. Each year the projects change a bit. “It’s a chance for real discovery, right?” said Skovran. “Students are actually discovering things that nobody else in the world knows, for the very first time.” Students draw on past work, develop the experiment, carry out the research and make scientific discoveries. “They can take that experience with them on job interviews,” she said. She also recommended looking for interdisciplinary research opportunities across the university, not just within the College of Science. “Any experience you have working on teams that are diverse,” she said, “not just demographic diversity, but diversity of disciplines, is very beneficial.” Of the SJSU students working in science, 50% go on to PhD programs. One student discovered the densest galaxy by examining large data sets. The university was able to send him to the Keck Observatory in Hawaii, use their large telescopes and verify his findings. SJSU ranks second in research funding across the CSU system. Faculty have connections at NASA Ames, and placed a number of students with scientists conducting microbiology research. 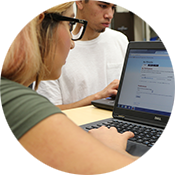 Students can work for academic credit and share research credit. The College of Science website and department sites offer a wealth of information. Degrees are offered in biology, molecular biology, biological sciences, systems physiology, computer science, meteorology, ecology, mathematics, chemistry and physics.